Advisory organization members are concerned men and women who voluntarily use their professional skills and knowledge of the community to make a practical difference for their neighbors, strengthening The Salvation Army’s ability to serve. With commitment to excellence they dedicate themselves to increasing public awareness of The Salvation Army’s purpose and work; recruiting other volunteers and giving hands-on assistance for specific activities such as holiday dinners,hospital visitation and disaster relief. They provide advice and guidance in areas such as budgeting, overseeing large-scale capital campaigns, creating outreach services, public relations and fundraising, management and personnel development, and building improvement and maintenance. They also interpret local culture, trends and needs to assist the Army in developing new ministries or modifying existing programs. Their commitment to serving others unites them with like-minded professionals from a wide variety of backgrounds. This makes advisory organization members vital partners in The Salvation Army ministry. Contact your local Salvation Army for more information. Like Salvation Army programs, advisory organizations take various forms, each making a unique contribution. All share the common goal of bringing together service-minded citizens who lend their energy, enthusiasm and expertise to support and promote Salvation Army services. Advisory Board: Influential community members organized to assist all Salvation Army programs and facilities within specific geographic boundaries, usually a city, metropolitan area or county. It is the parent body of other advisory organizations within that geographic area. 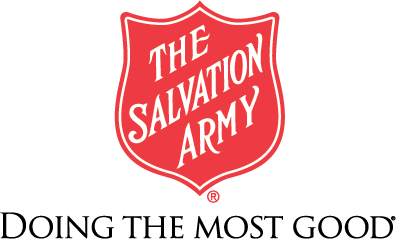 Advisory Council: Concerned individuals who give advice to a specific Salvation Army program or institution, such as an adult rehabilitation center, homeless shelter or social service center. Women’s Auxiliary: Prominent women who develop public understanding of Salvation Army programs in a specific region, provide hands-on assistance for projects such as landscaping at Salvation Army camps and hosting parties for children in day care, and raise funds through diverse events from fashion shows and luncheons to bake sales and flea markets. Service Extension Unit: Compassionate community members who provide practical services for families and individuals affected by such circumstances as unemployment, sudden illness, traffic accidents or natural disasters. The unit usually operates in a specific geographic region, often a rural county where there is no Salvation Army corps community center (church). Some service units operate in densely populated suburban areas to provide additional services. National Advisory Board: Notable leaders from across the United States who plan, advise and generally assist The Salvation Army on issues of national significance. Members often are drawn from local advisory organizations. The national advisory board is currently chaired by Edsal Ford.